Can you play Connect the Dots? Think you can connect multiple lines of LED dots on an iPhone screen and do it fast, even when the game goes into the toughest level? If you’re willing to try, Laser Puzzle is waiting for you. Your mission, if you’re willing to accept it, is to move the laser lines so that they touch and light up all the LED’s on the stage. Don’t be fooled by the easy, no score level, either. That’s just to acquaint you with how the game works and to get you warmed up for the next two levels of difficulty. When you feel comfortable enough to move on to the medium and hard stages, the timer kicks in and the LED’s get smaller. Move fast, brave player, and get that laser beam positioned just right before you run out of time. The faster your fingers move that beam into place, the more points you score. Don’t worry if you can’t quite make it the first few times. There’s no shame in having to practice to get it perfect. 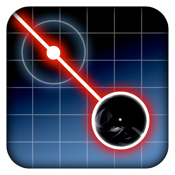 Brought to you by the Rock Pocket people, the Laser Puzzle is a highly addictive game app. The developers have made sure they’re offering everything you need to feed that driving addiction, too. They’ve incorporated some cool features and if your playing is interrupted, your progress and score are saved and waiting for your return. You can pick the game back up, right where it was when you had to leave it. So, what do you say? Think you can handle this app? There’s only one way to find out. Buy one and find out for yourself why they say that Laser Puzzle will rock your pocket.